Adoption Bill Already In Peril? Yesterday the Senate Judiciary Committee met to take up the adoption bill, HB 159. 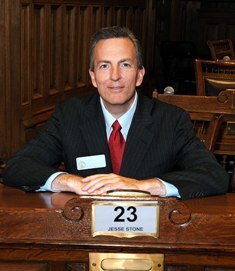 This Committee is chaired by the handmaiden of Senate Leadership always vigilant and helpful Senator Jesse Stone. He began the committee meeting as he often does- in a quiet and respectful nature, explaining in detail the work that has gone into the legislation at hand. In my experience this is his way of boring you to death before doling out the sucker punch of his substitutes. If you recall, Chairman Stone offered the sub for Campus Carry in the 2014 session, which effectively gutted the bill. He offered the sub for Campus Sexual Assault for the 2016 session, in both instances bringing good, common sense to Georgia’s otherwise extreme legislation. It appeared yesterday this has become his legislative calling card. He has painted himself in the colors of a moderate. In his initial run for office, I remember a longer standing politico in Augusta (Stone’s district’s nearest metropolitan area) pondering the milquetoast nature of the Chairman. It is my personal belief that this is his means of a head fake. Stone gives you the idea that his humility is genuine and I can almost see him shrugging his shoulders as he tells one he is just grateful to be in the presence of other great leaders. Don’t be ashamed if you were fooled. I certainly was. As reported by the AJC, Representative Regina Quick has decided to not run again for her seat, Georgia’s 117th House District, occupying parts of Barrow, Jackson, Clark, and Oconee counties. Instead, predecessor Doug Mckillip and newcomer Houston Gaines will challenge one another in the Republican primary and local attorney, Deborah Gonzalez will run on the Democratic ticket. Georgians may remember my post about HB 51, primarily sponsored by Dean of the House Republican Caucus and Appropriations Higher Education Subcommittee Chairman, Earl Ehrhart, this past session that Rep. Quick heavily defended. As a female, Republican, attorney, and someone who has the ability to be both intelligent and respectful in committee hearings, Quick was truly the best thing HB 51 had going for it. Yet the legislation was largely opposed by UGA students and ultimately was defeated in the General Assembly. However, carrying water for the longest serving Republican member of the Georgia House has its benefits, (along with Quick’s own legal chops) and Georgia may yet see her awarded a judgeship. 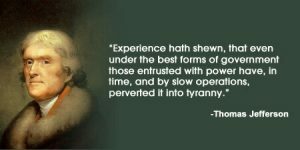 In every political system we have abuses of power, some more than others. They are not uncommon, and as long as the abuses are not egregious they can often times be overlooked. That does not make it right, yet one must pick their battles. It should also be said that the very legislators who commit these may do so because they sincerely have good intents. Sadly though, the general public is not always aware that some bills begin under these circumstances, and a bill’s origins often offer a more comprehensive view of the legislation. I would like to shed some light on one such case. In 2016, the AJC reported on Representative Earl Ehrhart (R-36, Powder Springs) intervening in an investigation at Georgia Tech where he threatened and then followed through on reduced funding for the research institution the next legislative session after the outcome of the school’s investigation. 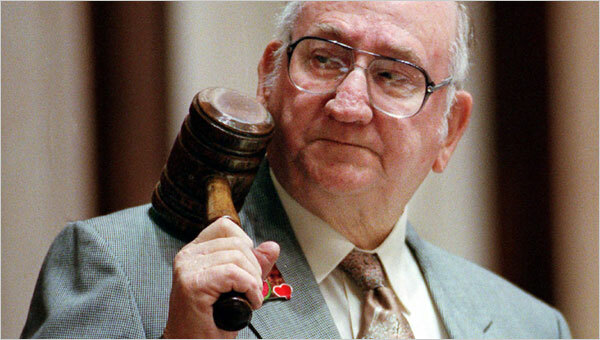 You see, despite thirty-eight years in the Georgia General Assembly and being a past Rules Chairman under Speaker Richardson, Ehrhart is only a sub-committee Chairman. That subcommittee happens to be the House Appropriations sub-committee on Higher Education. That’s right- Rep. Ehrhart holds the purse strings for all the colleges and universities across the state. Those same universities that are churning out the talent in our state to put it on Forbes’ List of the next tech meccas. Research like a reporter, Part 1: Who’s giving your candidate money? It’s election time and you may — like many — be pulling out your hair wondering where to get good information about non-presidential candidates and state ballot measures. I am going to go through some of the tools I’ve learned to use as a freelance reporter, to help you get some baseline information about the people and issues on your ballot. First up: who is giving your state candidates money? (Obtaining local candidate’s campaign contributions disclosures requires going through your local elections office). Fundraising efforts across the state can range from the anemic $2,450 of Rep. John Corbett (R-Lake Park) to Speaker David Ralston’s (R-Blue Ridge) $110,100. Digging through campaign contribution disclosure reports requires equal parts googling, channel your inner Mafioso, and taking it all with a grain of salt. What this information tells you is who your candidate is connected to. Are they people and organizations that share your values? Are they people and organizations trying to build relationships with legislators to influence them? Are they people and organizations trying to repair relationships with legislators after some contentious legislation was passed? How does this information compare to what your candidate says about them self? It’s worth mentioning, too, that sometimes powerful people just know each other and do things for each other without an immediate benefit. Relationship building is a huge part of the game, and elected officials underestimate (or don’t care) just how much it influences their judgement. Let’s first walk through what the campaign contribution disclosure reports look like and what kind of information they contain, and then dive into how to find them yourself for your state candidate. 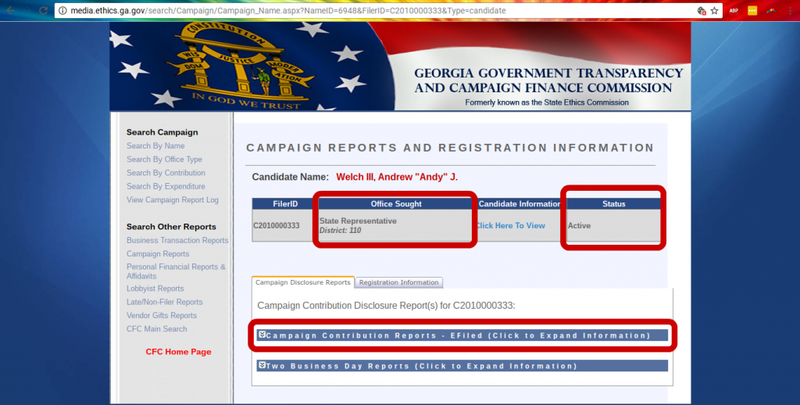 As an example, let’s look at Rep. Andrew Welch (R-McDonough), who is running unopposed. Here is the document you will see (link here). The first page is basic information about the campaign. Then, you’ll see a summary page that goes over the total figures. After that is the itemized breakdown for contributions, expenditures, and loans. Next up is the summary page. Quite frustratingly, candidates aren’t consistent in how they calculate “previously reported” (i.e. cumulative) figures. Some candidates start fresh at every new campaign cycle, while others may keep the tally running from campaign to campaign. You may have to go back through old filings and do the math yourself to figure out which method your candidate used, especially if you are going to compare between candidates. Also, Welch is running unopposed and will clearly be reelected, so it’s no surprise he has so little fundraising and expenditures to report. Candidates that are running unopposed, but hold lots of power, however, would likely see more activity. And, of course, candidates that are actively campaigning against another candidate should be fundraising at least $10-30,000 just to print signs, print flyers, get their website designed, maybe pay a staff person or some phone bankers. Candidates also fund their campaigns sometimes by loaning themselves money, which I just think is weird (but I’ve also never had a “spare” $45,000 that I could just do whatever I want with). Now the fun stuff: itemized contributions. For Rep. Welch, here’s what I notice: these are mostly out-of-state donors, so guessing these are big corporations or PACs working in all states (or key states) on particular agendas, and so probably just donating pretty widely. I’d definitely contextualize these by looking at what committees Rep. Welch is on (here) and what legislation he’s sponsored (here). Alkermes, Inc is a biopharmaceutical company with a Georgia office, I’ve seen them on several candidate’s reports. Biomedicine is actually quite big in Georgia, especially with the CDC and big research institutions, like Emory, located in Atlanta. GUCA Political Action Committee is the Georgia Utility Contractors Association, Inc. PAC. I’m not very familiar with them, but I suspect a little bit of googling would help establish a baseline of who they are and what their goals are. (There also is a way to see everyone who GUCA has donated to, that view would definitely provide interesting information into the kinds of elected officials they are targeting). Looking at the TitleMax donation, I’d want to find out if he serves on a committee that is important to them or sponsored legislation that would impact their business. Alternately, they may be proactively building relationships with key legislators. These title pawn and paycheck loan companies are starting to come under higher levels of scrutiny around their exploitative business practices, and states are looking to more tightly regulate what they do. I also notice that someone who works for the Nelson Mullins & Scarborough law firm donated separately. I am not familiar with them, and it could be interesting to investigate more about this firm and who that employee is in relationship to state politics. 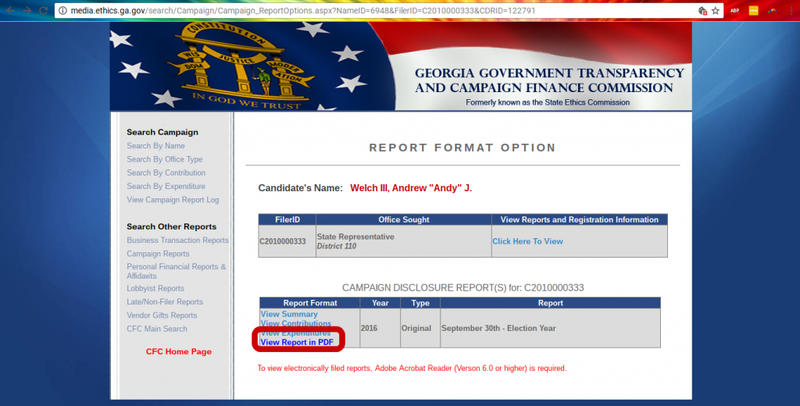 Other things you may see on your candidates report: expect lots of PACs, especially for businesses with big stakes in Georgia law, across all people and all parties. Medical associations, insurance companies, telecommunications, hospital groups, lawyer groups are all quite common. The folks trying to allow breweries to do direct sales are also making selective investments. Also, candidates donate to each other. It’s a way to bolster someone who isn’t a great fundraiser, but is a party favorite, a “team player,” or someone whose seat is being meaningfully challenged by the other party. Itemized expenditures. 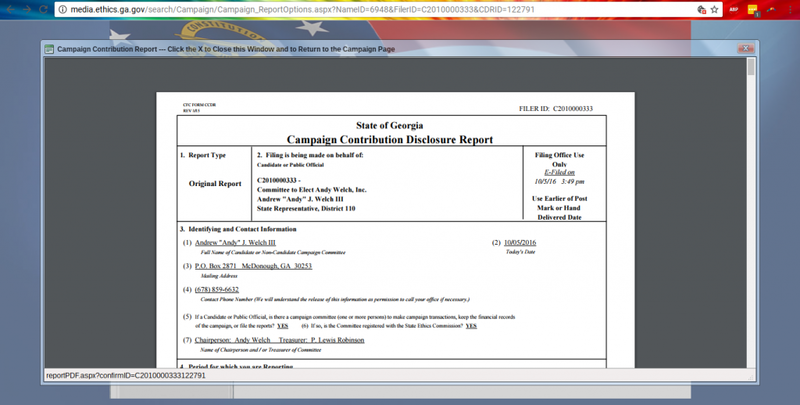 For Rep. Welch, here’s what stands out to me: Alright, we see him donating to fellow Rep. Brian Strickland, who I think he’s fairly politically aligned with. Both are very principled conservatives. Deidra White is the conservative running against incumbent Dexter Sharper. Looking at her campaign filings would tell you more about what other Republicans, if any, have donated to her campaign. If it’s just him, then this may be his personal decision — she may be a friend, they may be politically aligned — or, if many Republicans are donating to her campaign, then it could be the donations are being solicited from the higher-ups in the party. Apparently he was a Ted Cruz fan. Also, not surprisingly, a supporter of U.S. Sen. Johnny Isakson‎ (R-Ga). 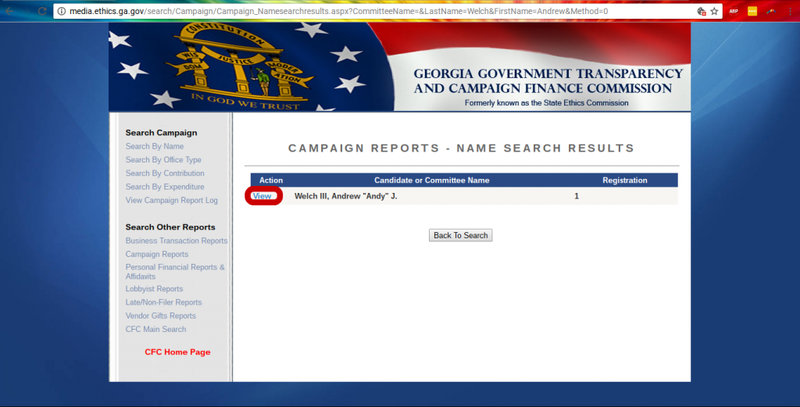 Super weird that he donated from his campaign (rather than personal) funds to the Georgia Life Alliance Committee. GLA is a pro-life group (the official Georgia chapter of the National Right to Life) and they lobby at the capitol. I haven’t seen this practice a lot and it just strikes me as ethically murky…to donate to a group that directly lobbies you and your colleagues. That also says a lot about his politics: (1) that he is pro-life, and (2) that he is aligned with GLA over Georgia Right to Life, which is ideologically more rigid in their politics. (2) Select “Campaign Reports” from the list. 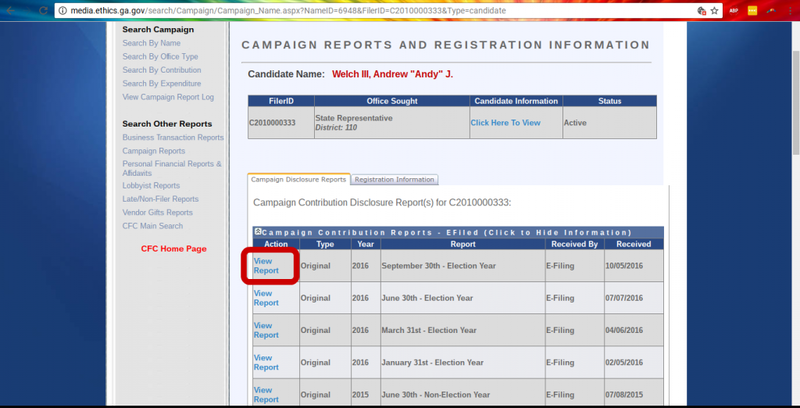 (3) You’ll be taken to a page called “CAMPAIGN REPORTS – NAME SEARCH.” Type in your candidate’s name in the box at the top of the page, and click “Search for Candidate.” As an example, let’s look at Rep. Andrew Welch (R-McDonough). Note: You can always navigate back to this page at anytime by selecting “Search By Name” from the menu on the sidebar. (4) Now select “View” for the appropriate candidate. Some things to note here: some candidates run under a middle name or nickname, and file under their legal name. Try searching just their last name if you don’t see them in the list. Alternately, some candidates will file under different variations of their name for different campaigns they’ve had. 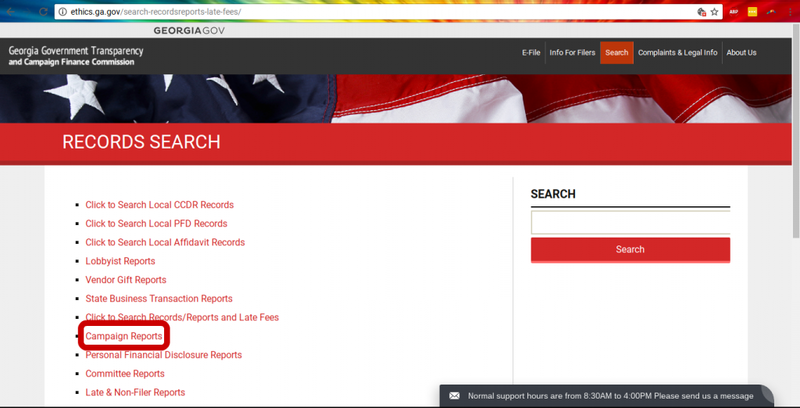 You’ll have to click around to find the current campaign documents you are looking for. (5) Double check you found the right person. The “Office Sought” should be for the position they are currently running for on your ballot. “Status” should be “Active.” If it says “Terminated,” then the candidate is no longer running for that office. 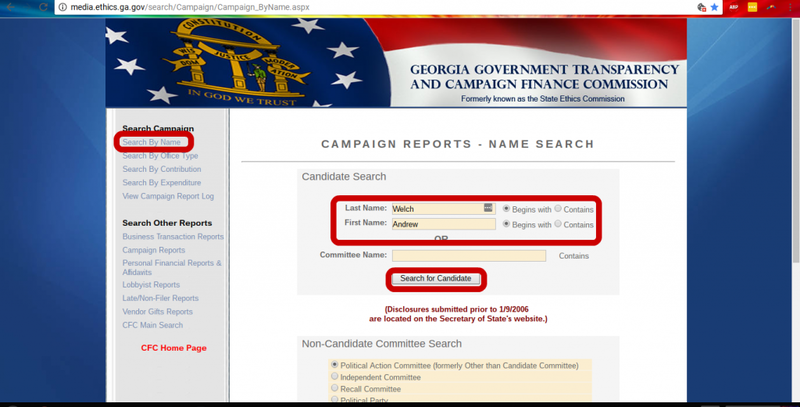 Under the first box, there is a tab that reads “Campaign Disclosure Reports,” and another tab that reads “Registration Information.” Clicking on the second tab will take you to some basic information about the campaign, we’re interested in the first tab right now. (6) Now you’ll see a list of all the reports the candidate has filed. Rep. Welch has reports going back to 2010, when he first ran for his House seat. Candidates have different reporting requirements for election years and non-election years. Note: If you like diving deep into numbers, it can be interesting to compare the same time period across campaigns (e.g. looking at the “September 30th – Election Year” reports for 2016, 2014, 2012 and 2010) in order to understand if the candidate is more or less active in fundraising at this point in the campaign cycle when compared to previous years. It can also be interesting to look at just the most recent two or three reports to see what’s changed over the course of one campaign. If a candidate had a primary opponent, but no general election challenger, then they may have more aggressively fundraised early on in their campaign. Also, state Senators and Representatives are not allowed to engage in fundraising or campaigning during the legislative session, so that often means big pushes from folks currently in office for donations before and after session. (7) Select “View Report in PDF,” to take a look at the entire report. (The other options are more excel friendly versions of the same information, broken into segments). Phew. Okay, that was quite a bit of information. Just a reminder: you absolutely don’t need to be an expert to vote. Dig into this as much as is interesting to you (certainly freelance reporting is my profession because this work fascinates me). In this case, it may be enough for you to know Rep. Welch is so committed to pro-life politics, he’s giving them money. As I wrote earlier, definitely be willing to channel your inner Mafioso, but don’t get carried away thinking that every dollar donated is a vote bought. Next post, I’ll look at who is spending money on the four constitutional amendments on the ballot. Comment with any questions, and I’ll do the best I can to address them, as well as your own experience looking through campaign contribution disclosure reports. Will HRC Really Win Georgia? I enjoy discussing Presidential campaign politics as much as I enjoy tilling the red clay in my backyard when it hasn’t rained in a few weeks. It’s tedious, gets me hot under the collar, and only has marginal capability of providing me with anything of beauty or worth in the end. So I tread carefully when discussing our Presidential picks. I leave that to my friends in the District. I keep my feet firmly planted in state and local affairs. Yet my ears perked up when I was listening to FiveThirtyEight’s podcast some time ago on Hillary making ad buys in Georgia. And then again today when the DPG emailed out the NY Times front page line indicating Georgia may be a swing state for HRC. First, the NY Times knows little about Georgia politics. Yet FiveThirtyEight is a strictly data oriented site. If you are unaware of FiveThirtyEight, it’s really a fantastic podcast and the analysis of polling is really both delightful and heartbreaking, depending upon how you perceive the results. Nate Silver, Harry Enten, Claire Malone, and Jody Avirgan are the political nerds people like me look to for the cold hard numbers to back up or destroy our assumptions. I find their humor engaging, their discussions meaningful to understanding the macro in our nation’s politics, and I always find their insights thought provoking. It should be said, aside from admiring this team, their work and their expertise, I admire data above all. I trust the data more times than not. If the numbers tell you something, believe it. In their August 29th podcast, Nate Silver encourages the listeners to look beyond the numbers though, for the inevitable “swing” where Clinton’s lead across the nation will inevitably fall in certain areas. The group discussion centers around where that swing and fall may occur. You can click on the link and at about minute 29 they get into the Georgia discussion. Today is the last day of the Georgia legislature, and I am ever the optimistic populist. So if you are watching from home, or from the galleries and have a bit of confusion about what’s going on, I thought it might be helpful to have your own copy of the Rules. 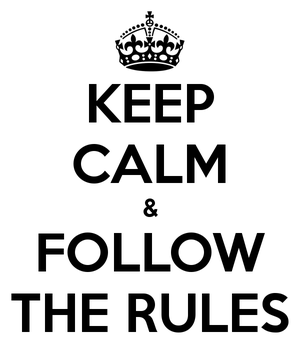 Click on the links above and you will find the rules governing the chambers. The Senate Rules are online at legis.ga.gov, but the House Rules were updated back in 2013 and never made it back online. With the gracious assistance of a transparency-loving House member, I scanned and copied the above for your reading pleasure/assistance before you head to sleep. While these are the Rules governing the chambers, it would also be helpful to note that the House’s parliamentary procedure most closely follows the American version of Robert’s Rules of Order and the Senate more closely follows Mason’s Rules of Parliamentary Procedure. 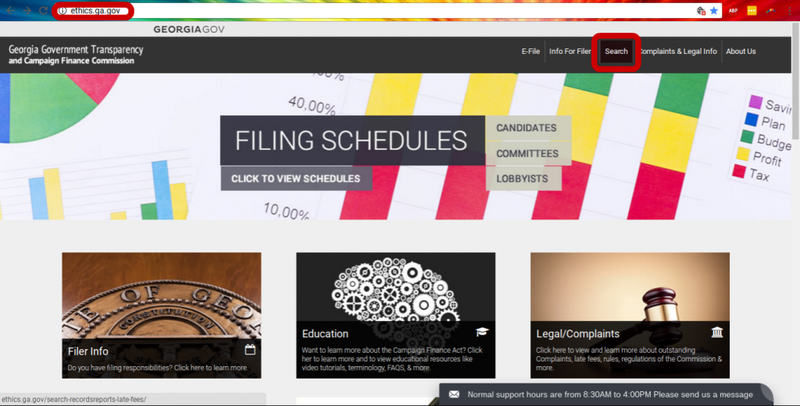 I’m a fan of Robert’s, but Mason’s was explicitly designed for state legislatures. Here’s NCSL’s take on the differences. Now the key portions to pay attention to are terms like “germane”, “engrossment”, and paying attention to which floor votes are performed by a show of hands. These procedures are what make the action on the floor more interesting and volatile. Transparency is not the populace’s friend on Sine Die, and so I would encourage all Georgians to come out after work to watch the floors, if you want to really know what happens. Want real time floor notes? Twitter is your friend. You can also get feedback from individuals and media on legislation by following #gapol on Twitter. It seems that Mike Griffin has finally pissed off Baptists other than just me. 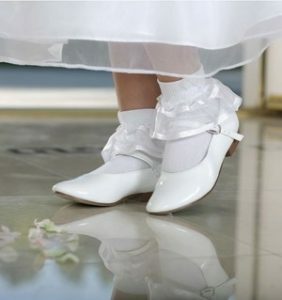 Even the white patent shoe wearing, floppy-Bible-toting stock get irritated when you compare them to a totalitarian. Aaron Gould Shenin of the AJC quotes members from the floor in his post, identifying his comparison of lawmakers to Hitler as beyond the pale. There are many more Baptists than those quoted at the Capitol, many who have long considered Griffin to be Satan incarnate, but I am rather glad to invite others to the party. All are welcome at this table! On the matter of being Baptist: I have been and cannot imagine myself to ever separate from the title of Baptist, no matter how many Mike Griffins, Jerry Falwells, or Westboro Baptists there may be. In addition to that preference, I also have always loved my scotch neat, I rarely miss a chance to break it down on the dance floor, have been and will forever be solidly pro-choice, and as for my card playing abilities? My middle school girl friends can vouch for the repercussions of our serious games of five card draw. If you are of the misconceived notion that Baptists are unilaterally characterized by the opposite of the above mentioned actions, I am here to tell you Baptist is a big, broad tent that welcomes sinners of all stripes. Like all Christians, we believe devoutly in the salvation of our souls given mercifully and unconditionally by God. There are some who believe in the sacrificial atonement of sins in the death of Jesus the Christ, and there are some who do not. Yet Baptists go further beyond the belief of merciful salvation and are somewhat unique in our deeply held convictions around full immersion baptism and regarding a term called congregational polity, where every church is self-governed, autonomous from the fold as a whole, and independent. Quakers, Puritans, and many of the congregational churches created in the American colonies were cut from this cloth. Unitarian Universalists, some synagogues, and mosques employ a version of this as well, but Baptists are often the denomination to be identified with this in mainstream Protestantism. Legislative session will begin next week. It is my second favorite time of year. Clearly it’s no one’s first; but a strong second in a heated primary, if you will. 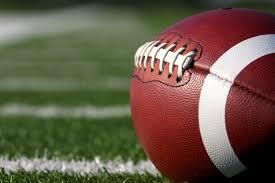 Football season is my favorite time of year. Some may love Christmas, others Halloween, but my favorite time in Georgia is the fall in which every self-respecting Southerner picks a team and joins their friends and family in heated rivalry for a few months. It’s a second religion here, and I’m certain the rules are written somewhere in Leviticus, right next to church starting at 11am sharp. The two seasons are not so unlike one another. My love of college football is because of the intense drama on the field in a strategically played game that has an extremely diverse mix of talent…Unless you’re Alabama, of course. Then you just mark your calendar with bowl rings and trophies. The legislative session is similar in that there is strategy of sorts, lots of drama and high spirits, and the talent is as diverse as the power. Freshmen legislators may rise up on the rungs quickly in popular opinion even if their bills go nowhere and the mighty three are typically protected and lead from behind as much as any star quarterback. There is also occasional Tebowing on the sidelines for dramatic effect and ingratiating oneself to the social conservative base. Sunday night’s Mad Men series finale ended with a nod to history’s ever-evolving gender revolution. Peggy got her man and her job and Joan made a choice I’ve had to make a few times over: career over the doting s.o. In between the cigarette smoke and chauvinism, the ladies took their licks and realized their own ambitions-some that were bigger than the commitment of marriage. As their characters represented paving the way for women in the workplace, the show did (IMHO) a decent job of recognizing their struggle in the 60s. Isolated in the workplace, dealing with the tension of other women trying to clip their wings and still yet aspiring to marriage and family, these female characters represented the tokenism that exemplifies any transition in an organization. I would also say the show is a great primer on politics in the Peach State, only now the transition has moved beyond just women, but thanks to Mansell McCord, it includes openly gay men in the GOP. Later today the Governor will sign into law, HB 170. The “Transportation Bill”, as it has been deemed (although there were actually more than one piece of transportation legislation offered this past session). It is a divisive issue among voters, and within the caucuses. Lots of time, money, and chastising has gone into this legislation. Lots of passionate postulations have been made regarding RFRA, human trafficking, and education- the General Assembly seemed to address our roads, our faith, our morals, and our education all in one session. But now, where does Georgia go from here? My first legislative session was sort of a unique one: it was the first time Republicans had a majority since Reconstruction. So I have spent the last ten years watching how Republicans handle legislation. I worked for a previous House Hawk, when Speaker Richardson was in office, and I have seen power shifted away from the Lt. Governor and now back. Georgia Republicans have stumbled toward this moment of consolidated power, and now they have to consider what it is they wish to leave as a legacy and how they will govern in the future. The coming weeks will tell us. 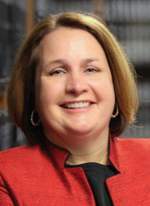 The apple-cart turnover of Chambliss’ vacancy created a sweeping effect across the state. I will offer that the defining legislation passed in the 2015 session will do the same. The question of civil unions is now infiltrating the GOP Chairman’s race, the presumed front-runner for Majority Leader just helped to pass narrowly defined legislation aptly named the “Marijuana Bill”, and for the first time ever, our Governor will be consolidating power of our schools under a Superintendent appointed by him, the schools’ rankings measurement determined by a state board appointed by him, and the recommendations of reform for these schools will be made from a commission also appointed by him. Sounds a lot like Tom Murphy to me. I am too young to have worked with the previous Speaker, so I can only offer the stories I have heard from others of how he governed. It is my understanding that legislation only moved forward with his blessing, much as this past session transpired. 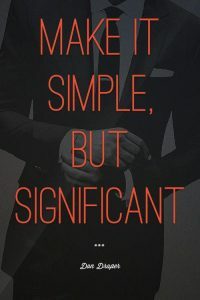 It is commonly understood that you cannot pass legislation without kissing the rings of leadership and without their blessings, there is no hope. Most lobbyists see this as a streamlined process that is more manageable, yet voters railed against this sort of thing in the early part of this millennium. Supposedly, Republicans were supposed to restore local control and in turn be more responsive to the voting populace. I would offer that the Republicans have found, like Democrats did before them, that the Murphy mechanism of governing has its perks. While many Republicans like to assert their differing approaches to legislation and governance from Democrats, it would seem that the ghost of Tom Murphy looms large in the marble halls. It is my hope though, that General Assembly members remain mindful that even Murphy had his come-uppance, and will learn from his legacy to avoid the gavel falling on their own legislative careers. Legislative Day 1: A Day of Hope? © 2015 Southern Indeed | Designed: by DaLee & Company, Inc..